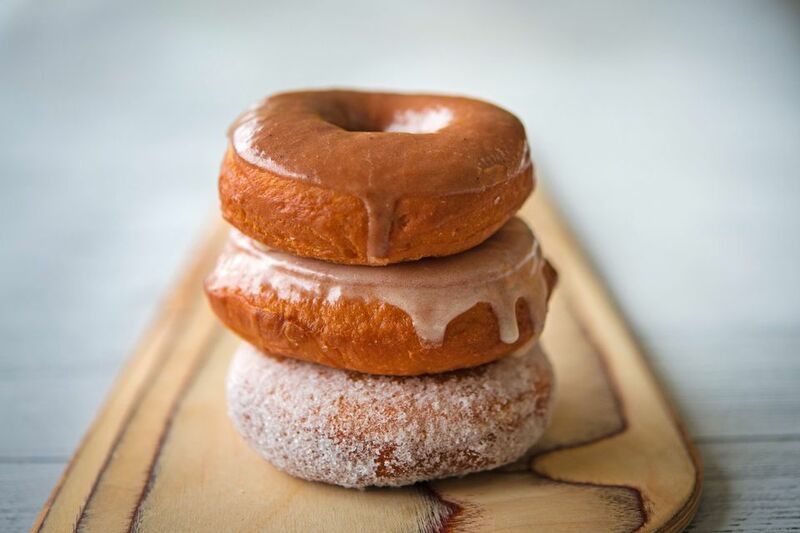 Hot and fresh from the fryer, donuts are simply irresistible and surprisingly easy to make at home in just five simple steps. Before you start making your donuts, gather all of these ingredients together. Tip the flour into a large bowl. On one side of the flour place the dried yeast and on the opposite, the salt and sugar; if yeast (fresh or dried) comes into direct contact with salt, it will be killed, so always start with these two apart. Mix well with a wooden spoon. Lightly warm the butter and milk together in the microwave, stir until the butter melts and pour this onto the flour with the egg. Stir with a wooden spoon to create a soft, sticky dough. Knead the dough for approximately 10 minutes until soft and elastic in either a stand mixer with a dough hook or by hand on a lightly floured surface. Move the dough into a lightly greased bowl and cover with oiled plastic wrap over the bowl, but not touching the dough. Leave in a warm, but not hot, place to proof for about an hour or until doubled in size. Roll the dough on a sheet of lightly floured baking paper until approximately 1/2-inch deep. Using a 3 1/2-inch plain cutter (or a doughnut cutter if you have one) and a 1 1/2-inch cutter for the center hole. Roll up the excess dough, roll, and cut again. Lay the donuts onto a lightly floured baking sheet, cover with a damp tea towel, and leave to rise for 30 minutes. Heat the oil in a deep pan or a fat fryer to 325 F. Once the oil is at temperature, cook the donuts a few at a time for 2 to 3 minutes each side until they are lightly golden. Do not overcook. Remove from the hot oil with a slotted spoon and lay onto a paper towel to absorb any excess oil. Once the donuts are all cooked, either roll them in caster sugar or glaze as you wish. 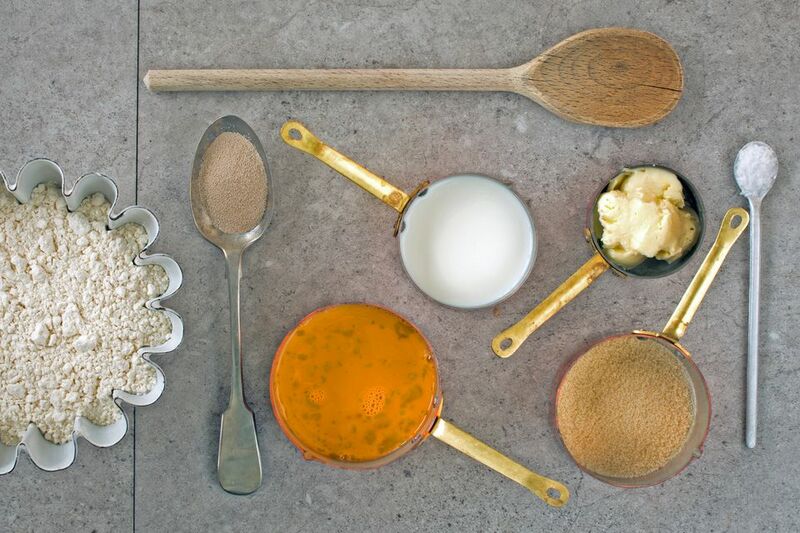 For a simple glaze, mix 1 cup of confectioner's sugar with 3 tablespoons heavy cream and 1/2 teaspoon vanilla extract. For a chocolate glaze, combine 2/3 cups of confectioner's sugar with 1 tablespoon of cocoa powder and 3 tablespoons heavy cream. The donuts are best eaten warm, but will keep for a few hours—though it's doubtful you will wait that long!